Blackjack is probably familiar to every casino player. But how did this exciting card game come about? The direct predecessor of today’s Blackjack is probably the French "Vingt-et-un", in English "Twenty-one". The game rules: One player assumes the role of the dealer and the other players place their bets. The next step is to get as close as possible to 21 without going any further. The players always play against the dealer. In the 18th century, the game spread to the upper classes of French society. 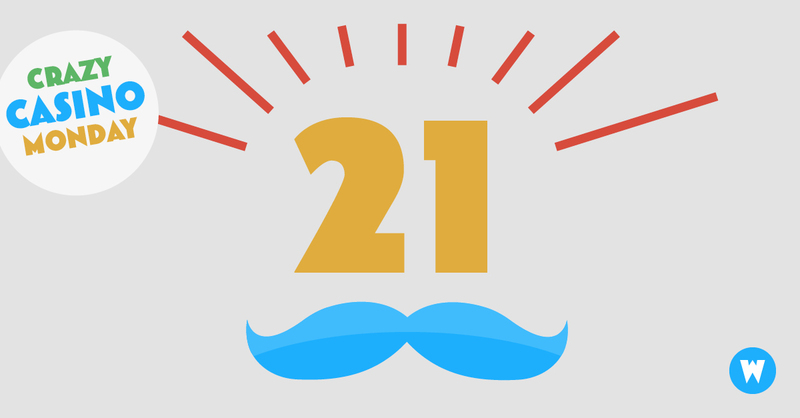 With French immigrants it also came to America, where it was then called "21". However, the rules at that time were very different compared to today – among other things only the dealer was allowed to double. In the 19th century, 21 became one of the most important games of chance in America. It was also around this time that Eleanor Dumont became famous. The born Frenchwoman came to America and earned her money there as a dealer. In the middle of the century, she opened her own gambling salon called "Vingt-et-un" in Nevada City. There she dealt the cards herself. Dumont’s business went well until the end of the Gold Rush. After that customers became rare and she probably committed suicide soon after. By the way: Because of her lady’s beard Dumont was also called "Madame Moustache" (French for beard). You too can prove your skills in Blackjack at Wunderino. Download Wunderino’s mobile casino with Wunderino App on your smartphone and off you go! With PayPal you always keep track of your deposits and winnings and regular bonuses and free spins are on top. Try it out right now! Good luck! Have you ever heard of the MIT Blackjack team? No? Click here!